Writers Carlos Pacheco and Rafael Marín set their mood here according to the template established by the first appearance of Galactus in the 1960s. Something terrifying is heading toward Earth, and what better way to establish that and catch reader attention than by having Galactus’ helmeted skull land on Times Square. It announces the viability of a threat that can dismiss Galactus so casually, and simultaneously introduces a dread. 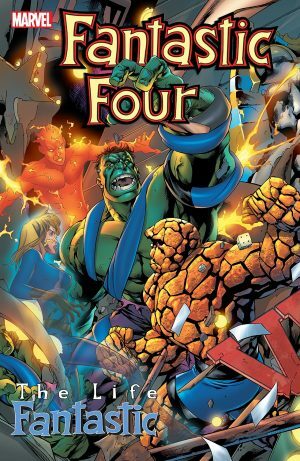 The being’s name is Abraxas, and the writers further delay his full blossoming by establishing there is something he fears, but in order to retrieve it the members of the Fantastic Four must travel to alternate universes and occupy their doppelgangers in those universes. Those doppelgangers and their worlds are consistently fascinating and serve their purpose in both furthering the story and being distractions to build up Abraxas. If the FF are going through all this before he’s even properly turned up, how powerful can he be? As with the previous Into the Breach, Carlos Pacheco only draws half this collection. 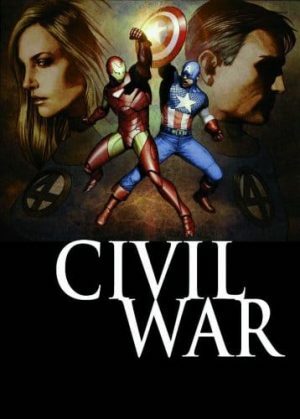 Kevin Maguire’s elegance leads us into the story and Jeff Johnson (sample art) takes on a couple of chapters, this time improved on his previous contributions, having worked his way into the series. Tom Grummett is an adaptable old hand at drawing anything, but it would be nice if the artists between them had managed to keep Franklin Richards a consistent age and height. 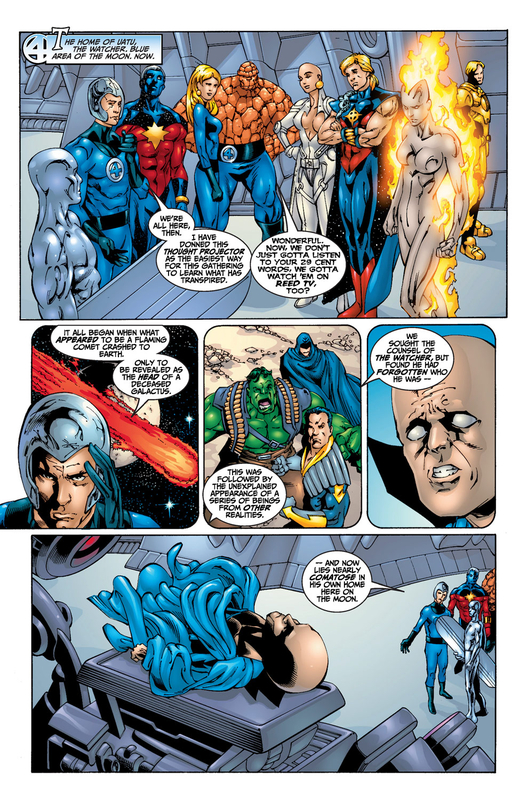 The main Abraxas story features several surprises, but killing the Silver Surfer wasn’t a great idea. Instead of the intended shock it just indicates there’ll be a way around it before the end of the story because no-one, even at the time, would really believe the Silver Surfer is dead. When he does finally manifest on Earth, Abraxas lives up to his billing, and the reason for the title becomes apparent, although it’s a moment that’s lost its significance. 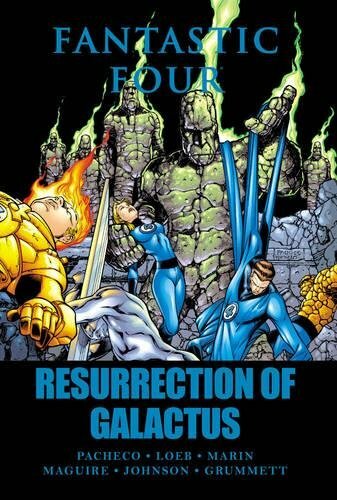 Some time before Pacheco and Marín’s regime Galactus died, and now he’s back, while the method of his revival will come as a surprise, not really signalled beforehand. As a consequence, handicaps the writers have introduced are wiped out, which is either frustratingly easy or clever, depending on your view. Once Abraxas has been dealt with the book concludes with a slim silent story, although one with a good pay-off, and a trio of comedies. Pacheco’s self-parody FF along the lines of Not Brand Ecch! has a few good gags and a pleasing exaggerated art, but it’s topped by Fabian Nicieza and Steve Rude’s sitcom about Ben Grimm and Johnny Storm offering themselves for a charity auction. Rude’s impeccable art is always welcome, but Nicieza’s script enables it well, throwing in curves that confound the expected amount of unpredictability. The ‘Anniversary Gift’ finale is written by Ken Siu-Chong, best known for his Street Fighter Comics, but it stretches a slim plot a long way, even over seven pages. 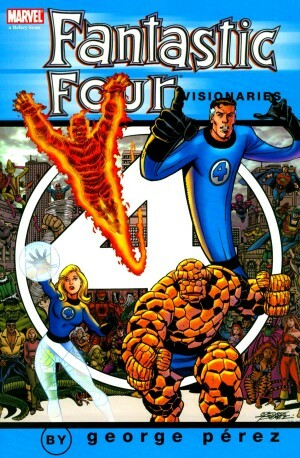 None of this content is essential Fantastic Four material, but it provides a contrast to the heart-stopping twists of the title story. 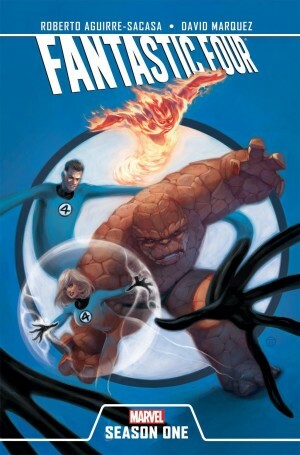 Pacheco and Marín’s Fantastic Four concludes with Fantastic Four/The Inhumans.